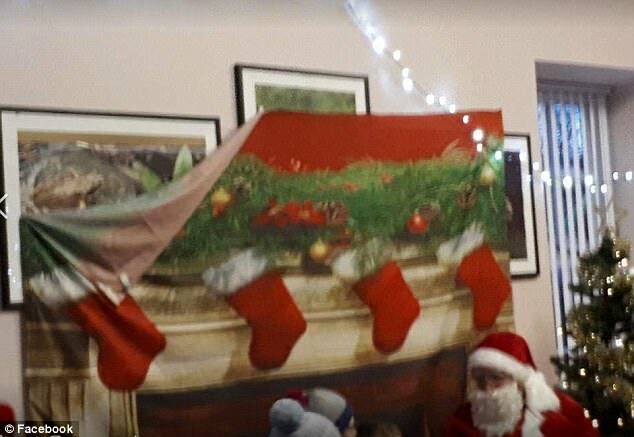 Home Amazing Winter wonderland event is cancelled after furious customers arrived to find a grotto in a barn, a rundown Christmas tree and an ice rink made of plastic slates. 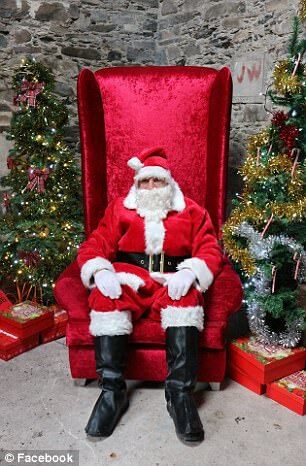 Winter wonderland event is cancelled after furious customers arrived to find a grotto in a barn, a rundown Christmas tree and an ice rink made of plastic slates. 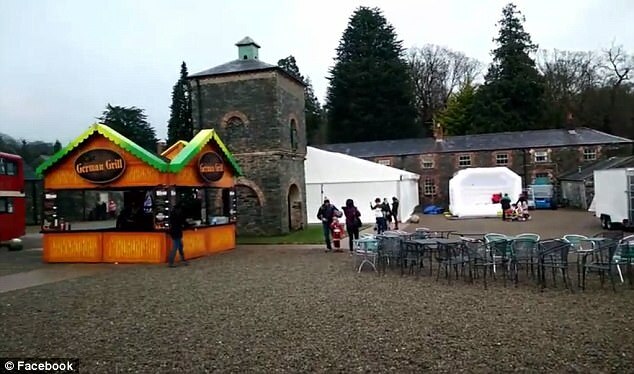 A winter wonderland event in Northern Ireland has apologised to customers after it was forced to close. 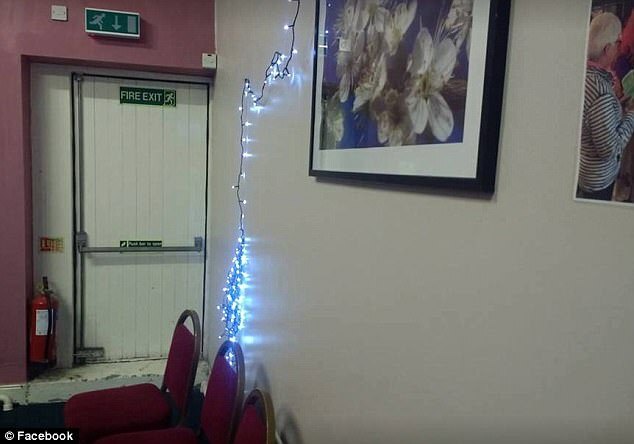 The organisers of the event admitted to falling short of expectations, and pictures and video on social media show the poor attempts of decorating to give the site a festive feel. 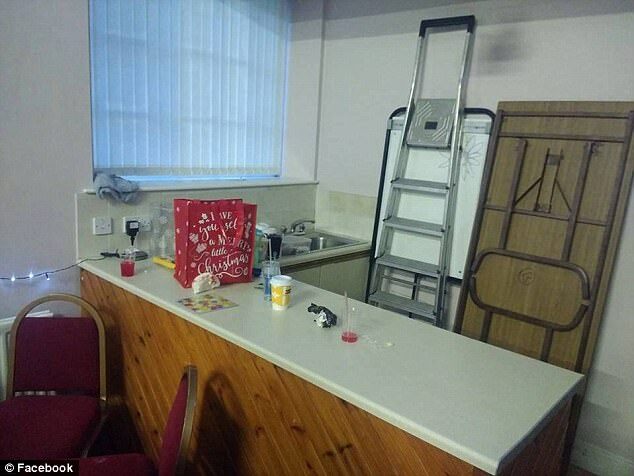 Photographs circulating online show half-finished decorations, boxes strewn across the floor and an ice rink without any ice. 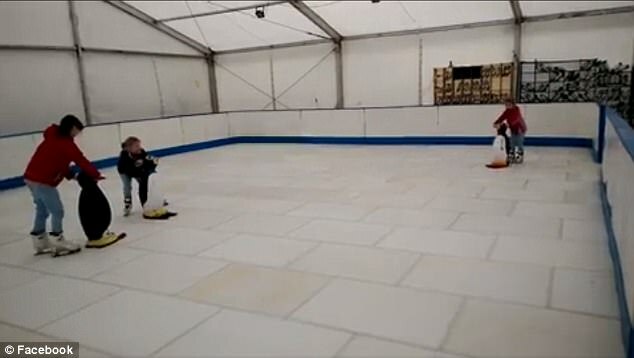 Children were videoed desperately trying to push their way around the rink, but to no avail. Disappointed customers have also vented their frustration at the planners after they were told they could have to wait 28 days for a refund. 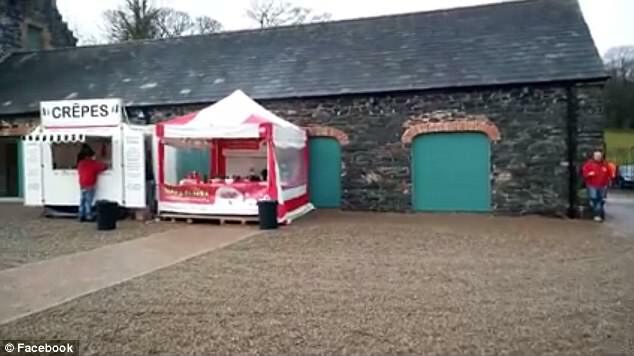 Paul Breen, from Downpatrick in Co Down, paid £50 for his family-of-four to attend the event at the Clandeboye estate in Bangor, Co Down. 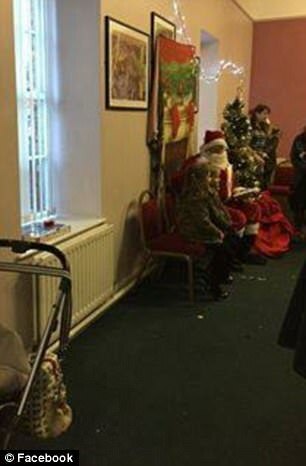 They were among the first to arrive on Saturday morning and he said his children were disappointed with the presents they received. Barbara Wallace went to the event on Saturday night with her husband and two children, aged five and eight. She said: 'The ice was actually plastic. The event at the estate was not organised or associated with the grounds, which is hired out for weddings or functions. It was due to run this week but has now been closed down. 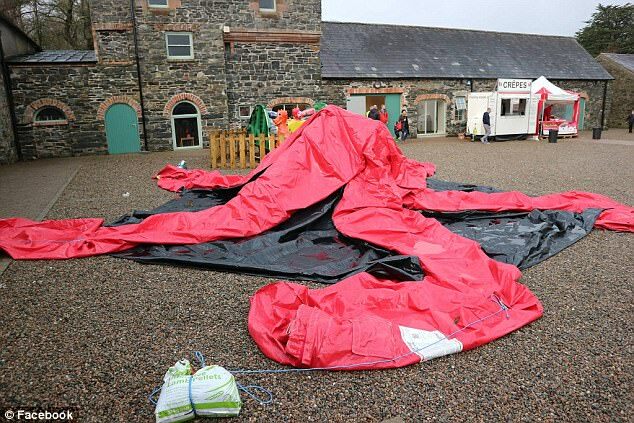 A statement posted on Facebook said: 'Winter NI would like to apologise for the Bangor Winter Wonderland event which has fallen way short of our expectations. 'For this reason it has been decided to cancel the event from tomorrow morning, Monday 18th December. 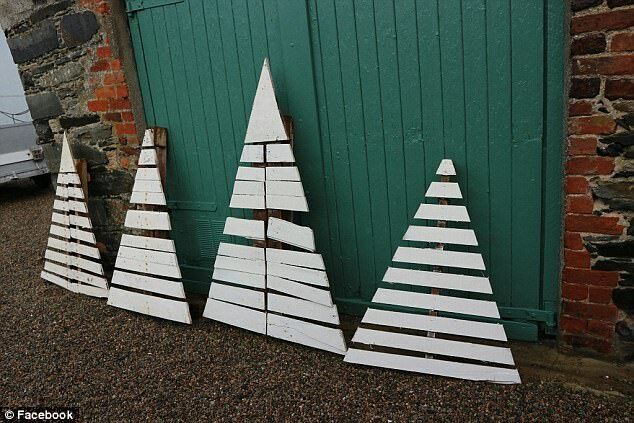 For anyone already on their way today we are remaining open until 8pm. Organisers have promised that all ticket holders for the period December 18-23 will be given a full refund.